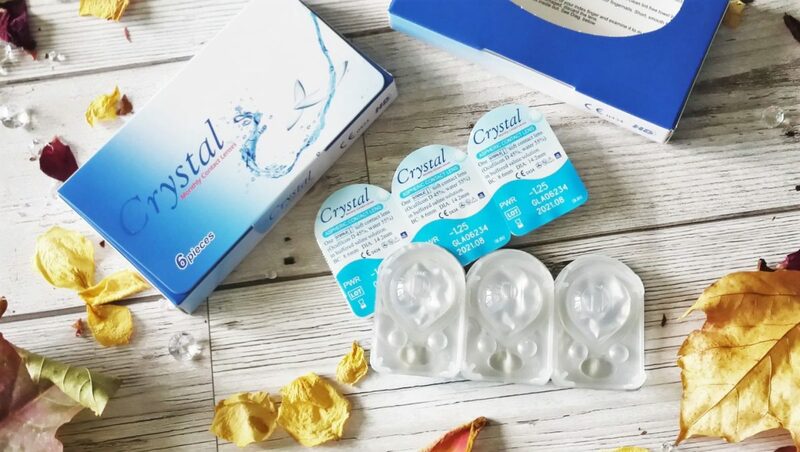 When I got a chance to review Crystal Monthly Contact Lenses, I was thrilled because I haven’t worn contacts in years and when I say years, I’m really not exaggerating. I used to wear them all the time when I was younger and first tried them out back when I was 18 years old. I was pretty sure that they’d come a long way since then especially now that there are all these daily and monthly disposable lenses available. My choice when I used them previously was soft or hard lenses and nothing else. 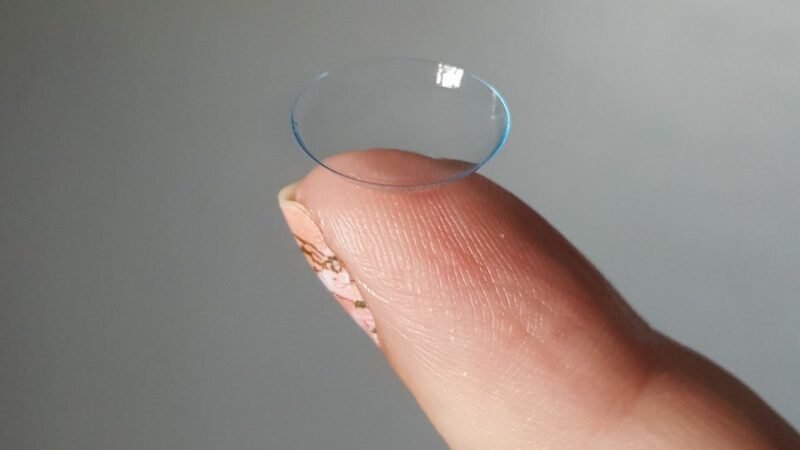 I really love the idea of disposable lenses that last a short time. 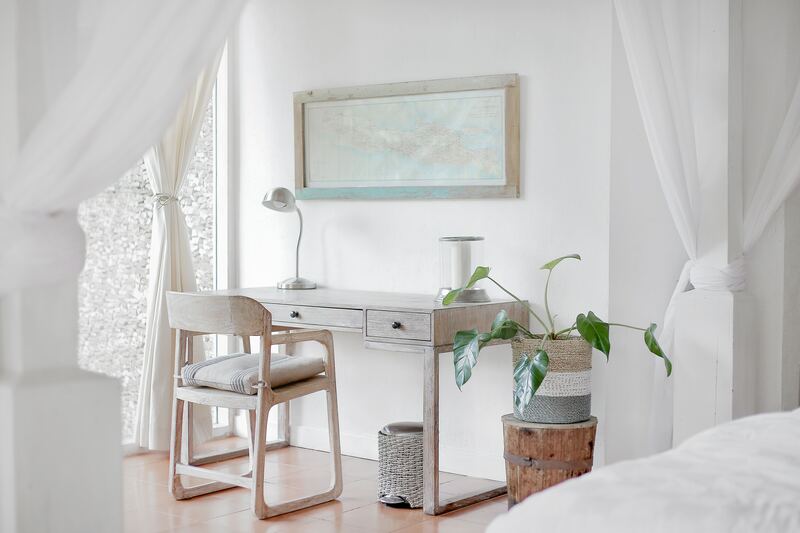 I feel that there is far less risk of contamination to the lenses and in turn, to your eyes if you are constantly changing them for a fresh, new pair. 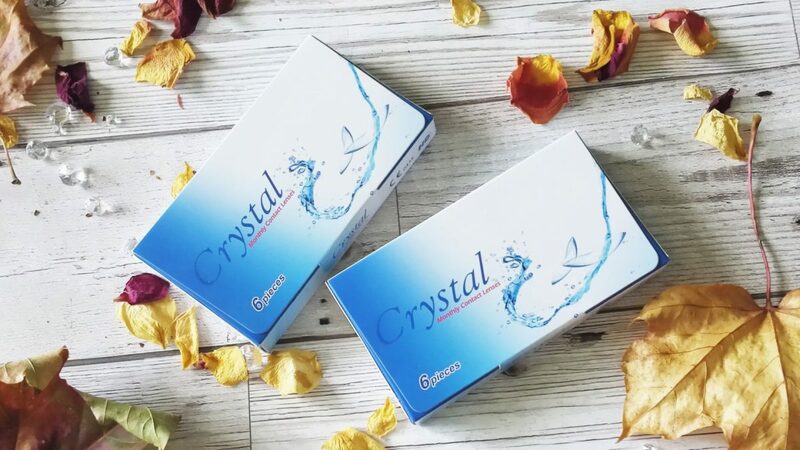 Crystal Monthly Contact Lenses are ideal whether you wear them every day of the month or just whenever you want. They last 30 days and at the end of that period you just pop open a new packet and off you go. It’s so simple. 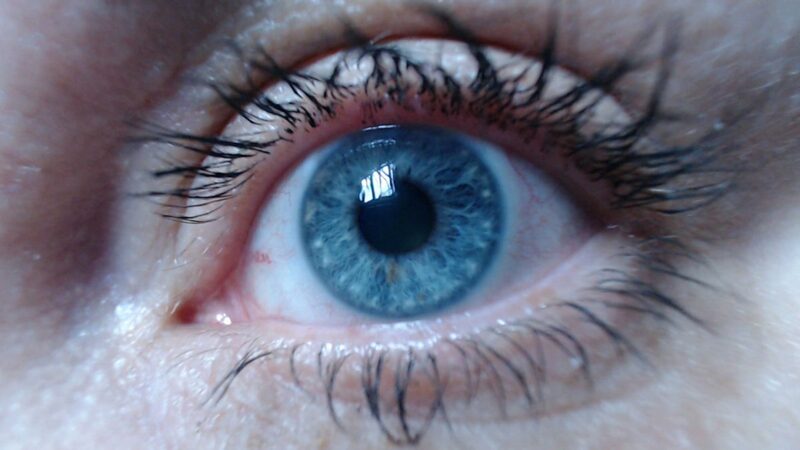 Mine were ordered from www.contactlenses.co.uk and they were dispatched really quickly. All in all it only took a couple of days or so for them to arrive and I received email updates at every stage. 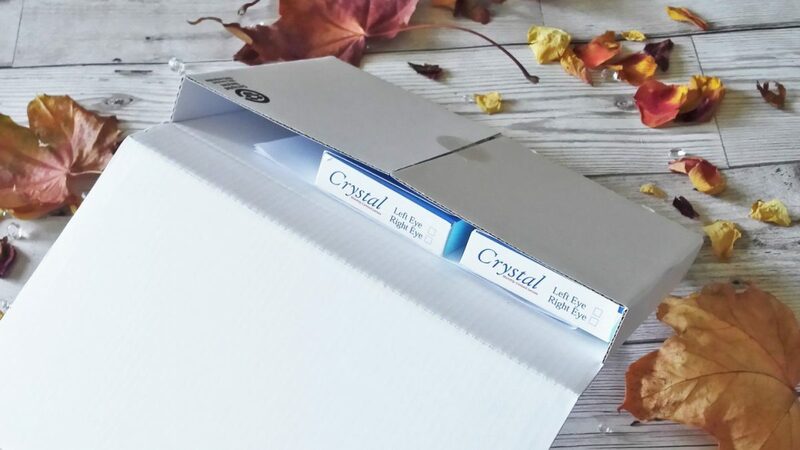 The Crystal Monthly Contact Lenses were packaged in a very sturdy slim white box, perfect to fit through most standard letter boxes. This is great because you don’t have to worry about making sure you are in to receive your order. The address was clearly marked and the box was sealed with a strong label. The box arrived in perfect condition other than a teeny tiny dent in one corner and a little indentation down one side. It’s not even really worth mentioning because it really was insignificant and had caused no damage to the lenses. Inside the box were my 2 boxes of Crystal Monthly Contact Lenses and the Invoice. 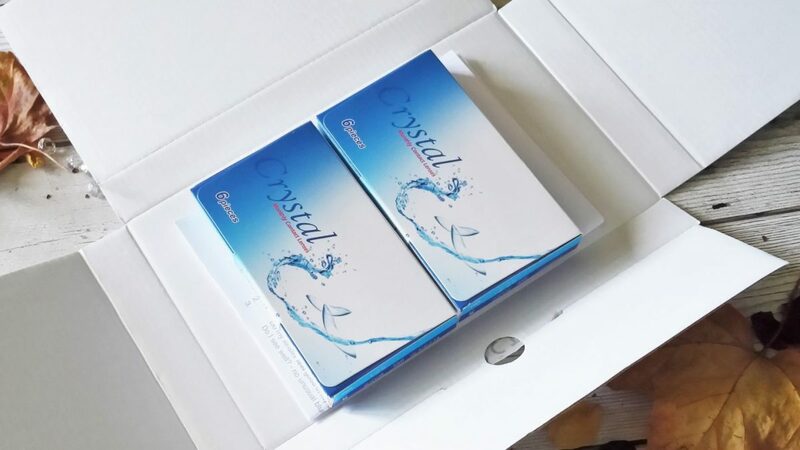 Each box contains lenses for the right eye and the left eye and the lenses are clearly marked with the prescription strength, so there is no confusion between lenses for each eye. Believe it or not, these two boxes contain 6 months supply of contact lenses! They are such great value at £7.50 per box, making 6 months supply for both eyes, just £15.00! I stupidly forgot to order some contact lens solution and a case to keep them in, so had to wait a couple of days before I could try my lenses out, whilst I waited for my case & solution to arrive. 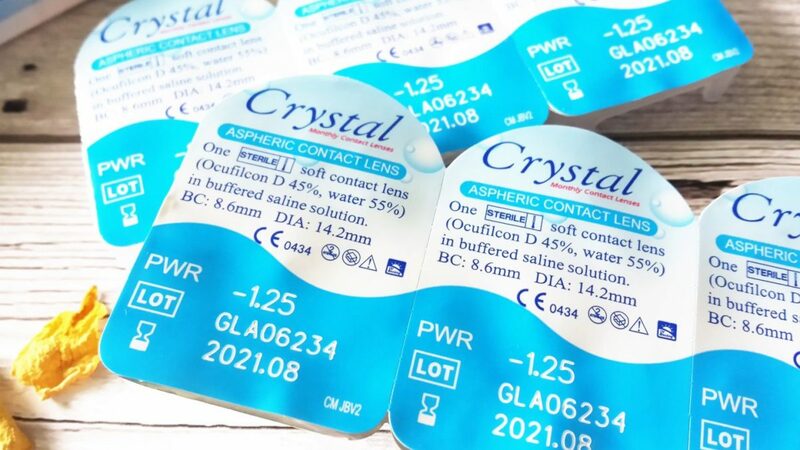 The Crystal Monthly Contact Lenses themselves are very comfortable to wear. They have a thin edge which makes them easier and more comfortable to wear for long periods. They also have a multi back curve design for more stability and ease of handling when putting them in and taking them out of your eye. I don’t remember my soft contact lenses from years ago being as comfortable as these monthly ones are, that much I do know. I used to find, even after just a few hours wear, the lenses would start to feel tight and dry in my eyes. These don’t feel that way at all. 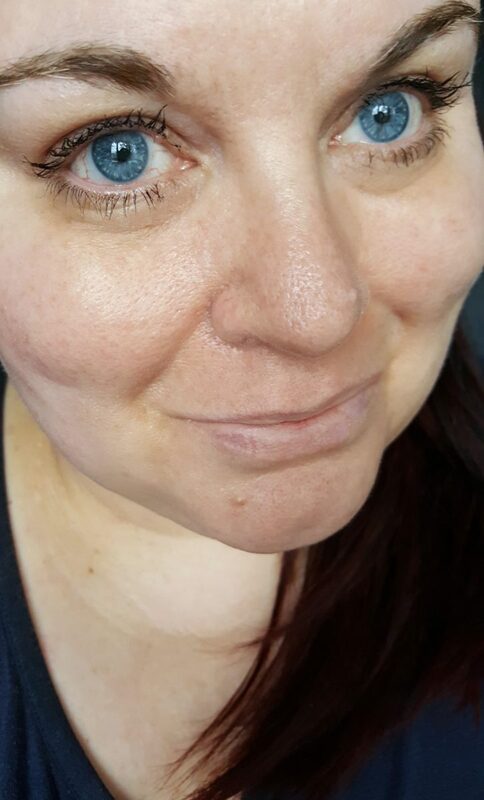 Now I know not everyone gets on with contact lenses but these really are great and there are also a lot of benefits to them. Due to the fact that the lenses actually sit directly on the eye, your vision, particularly your peripheral vision, is unobstructed. My vision is definitely a lot clearer in the contact lenses than it is in my glasses – also, I don’t have to constantly keep cleaning my lenses during the day like I would have to do my glasses. No smudgy fingerprints to blur my vision. They are also great if you play a lot of sports or do a lot of outdoor activities, as you don’t have to worry about them getting in the way and even worse, falling off your face and breaking like glasses can so easily do. They are also a lot more hygienic as well. 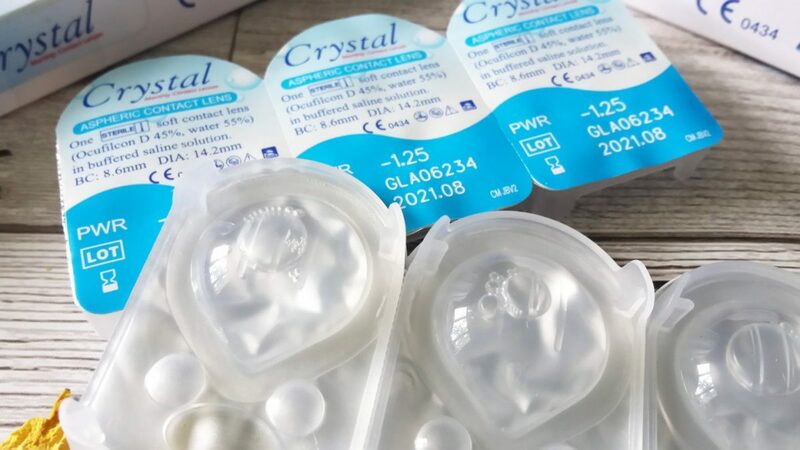 You get no nasty build up of protein on the lenses, so the chances of your eyes getting irritated or infected is far far less with disposable monthly contact lenses. Every 30 days you can just throw the old lenses out and replace them with new ones. It really couldn’t be easier. 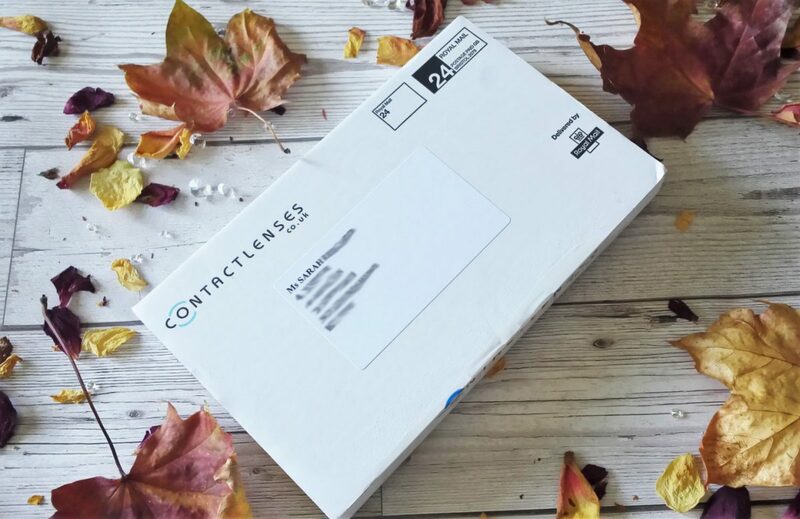 There is also the convenience of being able to order these Crystal Monthly Contact Lenses online and have them delivered straight through your letterbox within a few days. 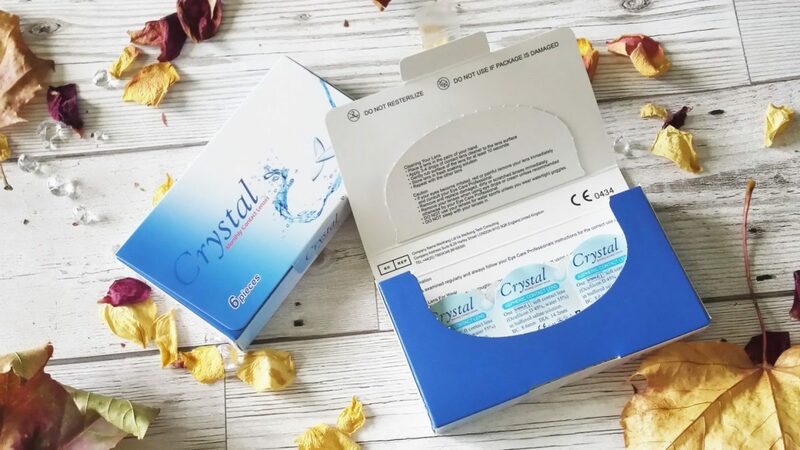 Where Can I Buy Crystal Monthly Contact Lenses? Simply use the drop down menu to select your power for each eye, you can find this on your latest prescription. All that’s left then is to decide how many boxes you want to purchase. 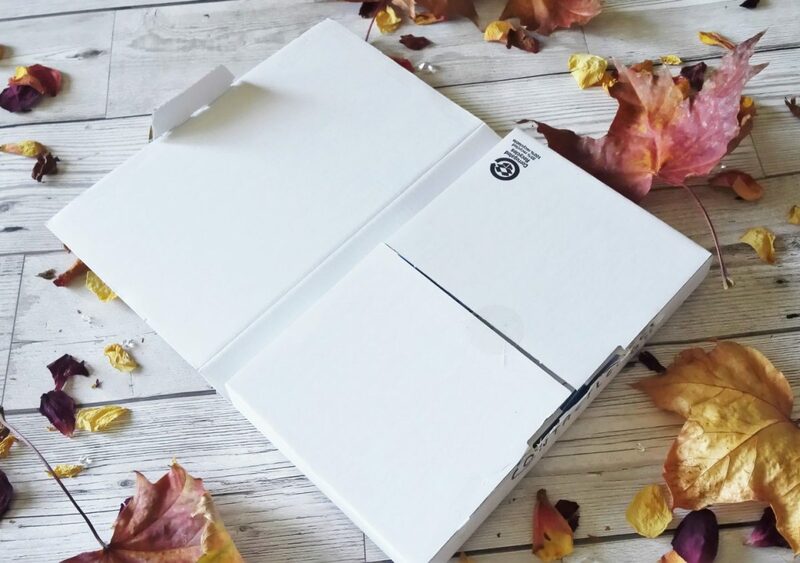 You can buy as little as just 6 months supply, which would cost just £15.00 (£7.50 for each eye) or you could stock up and buy up to 12 boxes! That’s like 6 years supply of lenses for £90.00 – that’s less than I used to have to pay for a pair of soft contact lenses – and those only lasted 18 mths /2 years! Although, I personally wouldn’t recommend buying ahead that much as your prescription could change. I think 6 months to a year, maybe 2 years is more sensible.